Mom taught me to sew when I was about nine years old, and I sewed my own clothes all the way through high school and into adulthood when I also sewed for my own family until fabric finally became more expensive than buying the ready made clothes. At the same time, the landscape of fabric stores was changing: it became harder to find dress goods as shelves began filling up with quilting supplies and I was happily moving from sewing to other crafts. I kept my machine, of course, because there were always mending jobs to do and an occasional curtain that needed to be sewn (and it was a monumental purchase from my youth that was going to last a lifetime, but that was covered in an earlier post!) but in general, after over 25 years of making everything from tailored blazers to a wedding dress to baby clothes to home decor, I did very little sewing at all for almost 15 years. My mom has been an avid quilter for a long time now and it was never something I was interested in doing myself – I didn’t see the point of buying fabric only to cut it up into little pieces to sew it all back together again, even though I eventually spent many days doing just that with paper after I became immersed in stamping and card making. I pieced a couple of simple quilt tops together a number of years ago, but only so that my mom could quilt them for me because I had no desire to do all that work! 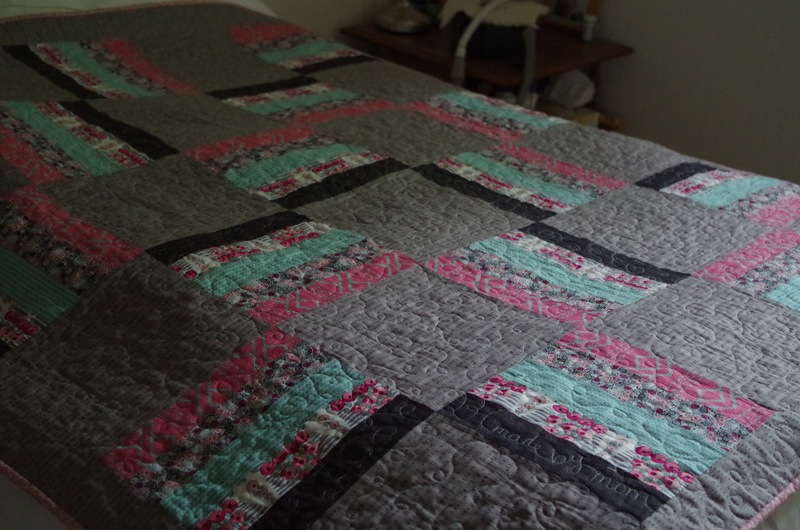 I liked having quilts, I just had no interest in making them. Then one day last February I decided I needed a new floor mat for my kitchen and I wanted to make a braided rug like the ones people made in the olden days. I went to my trusty idea site – Pinterest – to look for patterns, and came across a woven fabric mat that caught my attention. It looked like a lot less work than a braided one; yes, I’m usually attracted to great ideas requiring little effort because I like to start and finish projects quickly. Even in my youth, if a garment took longer than a day to make from cutting out the pattern to sewing up the hem, I lost interest and it sat unfinished on a shelf. 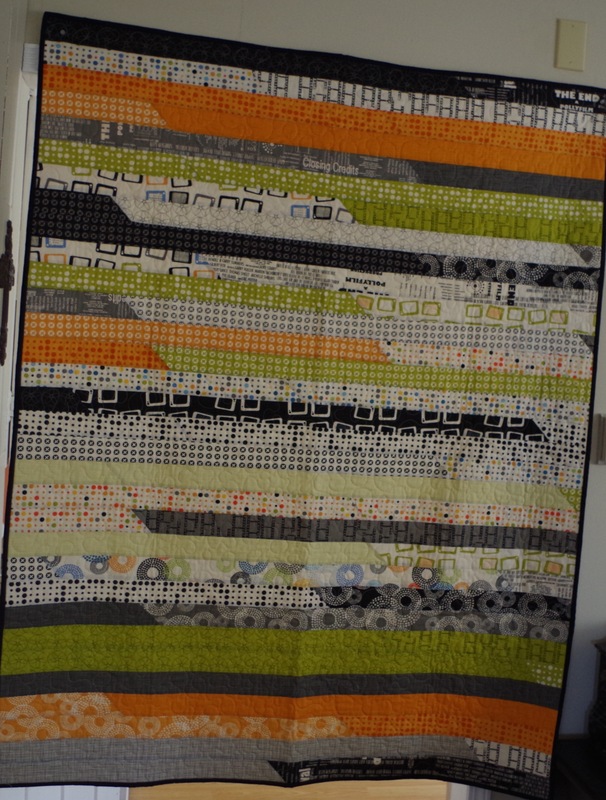 So I clicked on the woven mat and saw that the pattern called for a jelly roll. I had no idea what this referred to but I knew they weren’t talking about a dessert (although I’ve since learned that many of the fabric precuts are named after bakery items, which makes me wonder if all quilters enjoy donuts as much as I do) so of course I then had to Google “jelly roll fabric”. I could say at this point that the rest is history, but that wouldn’t make much of a blog post! 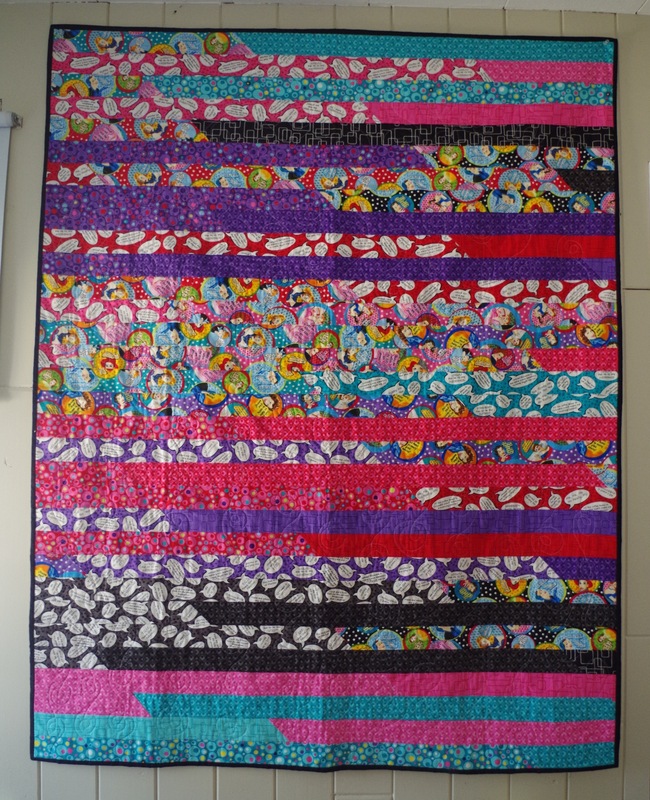 I browsed the many, many, MANY jelly rolls available and of course entered the world of jelly roll quilt ideas along my way. 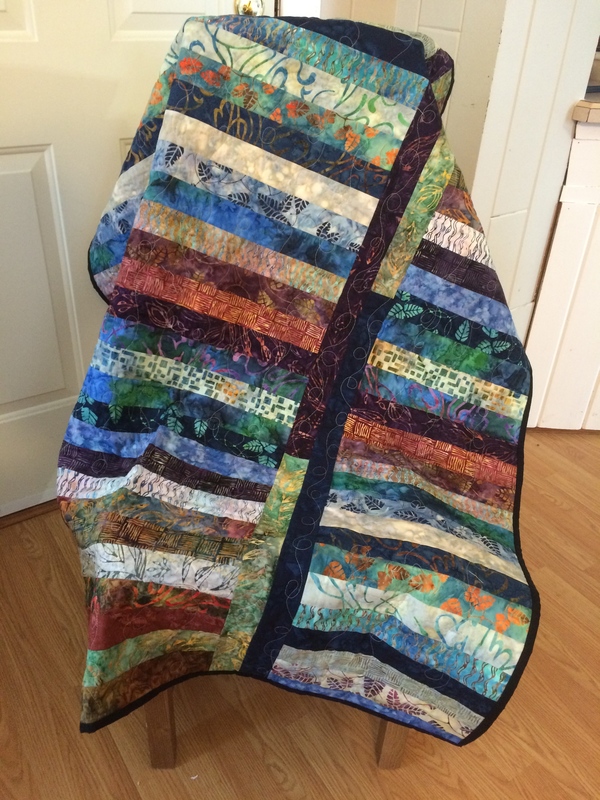 People were sharing pictures of quilt tops made in less than an hour and I was enthralled – I could do that! It was right up my start-to-finish in a day alley – at that rate I could do more than one a day – and I knew exactly where I could take them to be quilted at a store on a long arm machine, so I dove in and ordered a couple of rolls, along with the batting and backing I would need to complete the projects, and happily waited for my package to arrive. In the meantime I decided that with all the ideas and tutorials out there for machine quilting, I really should at least try it myself to see how it worked and find out if I could actually enjoy doing it myself – this is important because knowing how to do something and enjoying doing it are two different things. My crafts are therapy for me, and if something becomes frustrating or it isn’t fulfilling my need for relaxation and fun, I’m not going to do it. So I put together some small pieces of fabric and batting, got my trusty old Pfaff onto the table, set it up for free motion quilting and off I went. I’m not sure I have an addictive personality, at least not for dangerous things (unless you count frequent fabric orders and excitement over the lovely scents of Best Press spray as dangerous…) but I do believe that as soon as I started to free motion quilt on that sample piece I knew I was going to love it and I just wanted to keep going, which is pretty much what happened once my box arrived and I got those first two tops made. I had a plan. 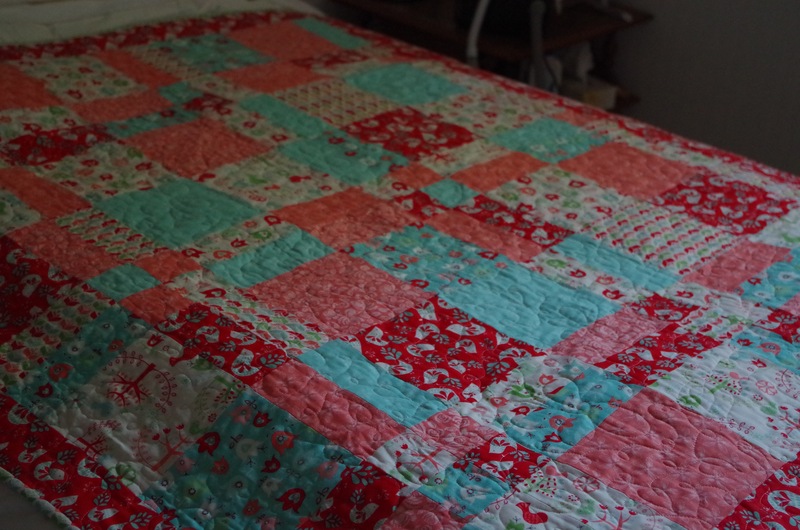 I didn’t want to calculate and plan quilt blocks, I just wanted to somewhat mindlessly sew tops easily and quilt them. Jelly rolls worked well because they sewed up quickly and left no scraps, so I didn’t have to worry about a pile of leftovers accumulating in my cupboard making me feel pressured to find ways to use them. I wasn’t going to stash fabric; I was going to buy specific amounts for planned projects only and even at that I wouldn’t have extra project piles waiting, I would buy in small amounts that I could use up quickly before buying more. My quilting friend with many years experience listened and smiled. And then I discovered layer cakes (there are also honey buns, maple cakes, and dessert rolls, oh my!) and how easy it was to make blocks that could be arranged into lovely designs with just a cut here and there and I could still sew a top easily in a day and have time leftover to build something out of wood (one of my other hobbies). I was using what I had almost as soon as I got it home from wherever I found it, so I placed another fabric order to include a layer cake. I had specific quilts in mind, sticking with the plan. The list of quilts I wanted to make grew quickly and I needed to visit some fabric stores to see what was out there beyond my online source – and to actually feel the fabric before I bought it – so I picked up mom and made a couple of spontaneous trips to find pieces that I knew would be just right for certain people. My ideas were expanding beyond the strips into various other configurations, and I came home with enough for a few more specific projects. I was teased for calculating my yardage down to the tenth of a metre because I didn’t need leftovers, and it worked out well for me to use any possible scraps as part of the backings so they were decorative but also used up! My quilting friend laughed and warned me that it was only a matter of time before I fell into the black hole. Then it happened. Just a little bit, but it happened. I saw a piece of fabric in a store that was so beautiful I just had to buy some of it, even though it wasn’t for a particular quilt. In my own defense, it was neutral and usable for pretty much anything so it wasn’t really like stashing something just because I wanted it as it would match lots of stuff and already had embroidery all over it so would make really good borders and sashing … My quilting friend smiled and assured me that is how a stash starts: even just one piece of fabric not designated for a specific project but purchased because I had to have it does a stash make (just in case you weren’t aware of the rules). My first pieced quilt, no precuts! 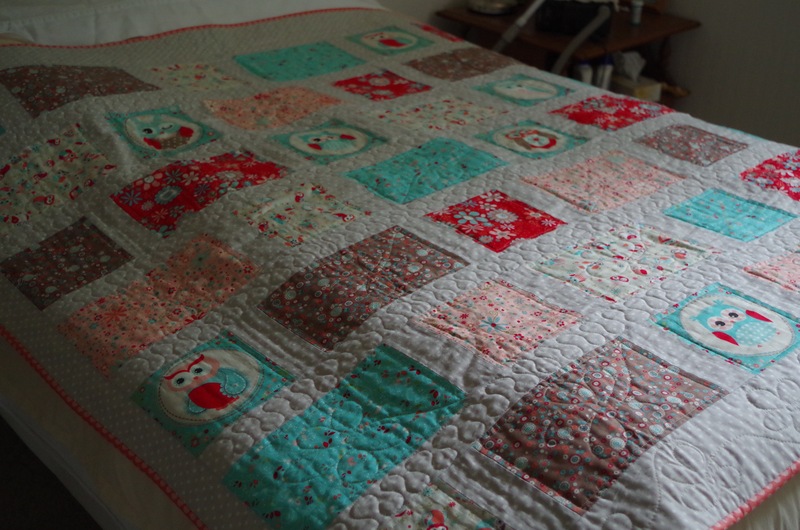 So now, three and a half months and fifteen quilts later (FIFTEEN? I had to go back and count…) I’m getting bold enough to try more challenging free motion designs and my favorite online fabric store in Chilliwack, B.C. knows me by name. (I’ve filled at least two super stitcher cards…) I have a small stash of really cool fabric and I’m on the verge of sharing an entire roll of batting so I don’t have to keep re-ordering it. 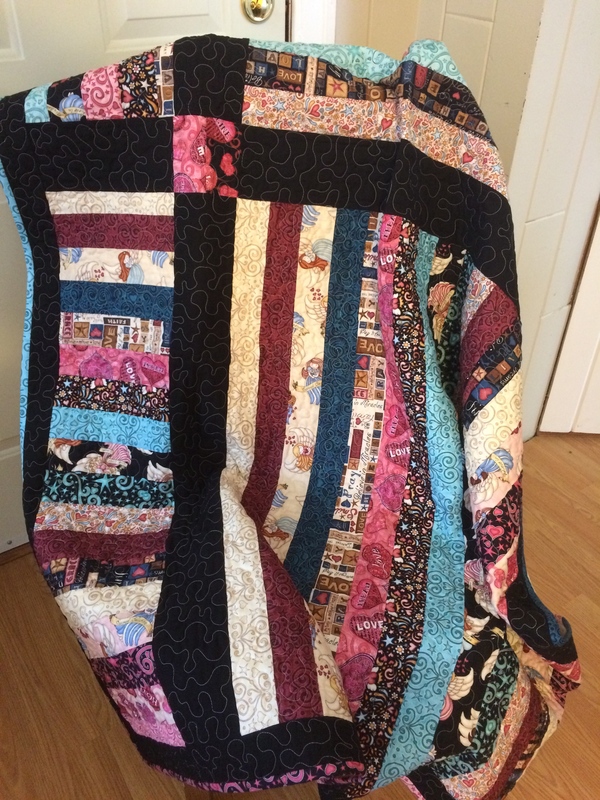 I’m always looking for new ideas and sometimes I’m actually giddy when I get my quilt sandwich all rolled up and sit down at my machine to start the fun part. I used to be able to justify spending money on my craft supplies by reminding myself that my hobbies were cheaper therapy than drinking, smoking, or taking drugs. 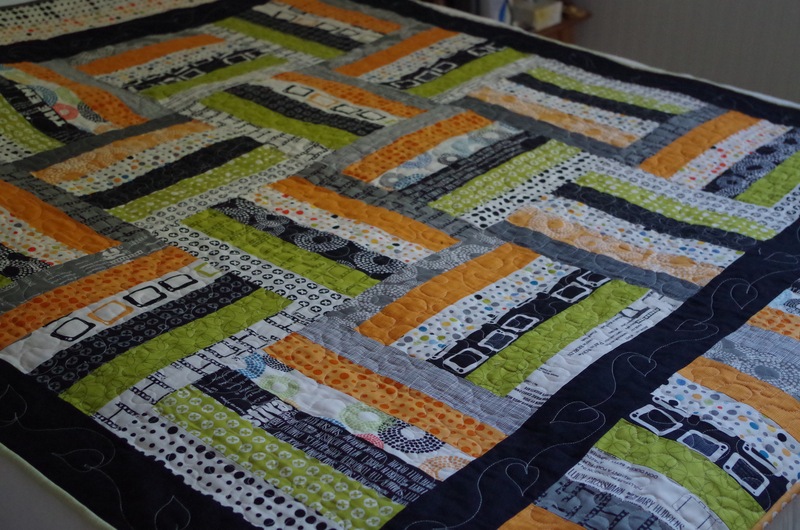 When it comes to quilting, I’m not so sure that’s true! But I’m not sure I care either because there’s really no price to be put on something that keeps my brain active and provides me with so much enjoyment, especially given that I can share what I make with friends and family who are happy to receive handmade gifts from my heart (at least that’s what they tell me), and with others who might need a special quilt to comfort them in a time of need. Needless to say my mom is happy about my new interest in quilting; I can now participate in and chat happily about the hobby that she found long ago, and whenever I finish a new quilt top I have to take it and show her what I’ve done so she can ooh and ahh and give me the mom-likes-everything-you-make stuff that starts to build our ego from the first time she put a crayon art piece on the fridge! She even lets me dig into her stash once in a while too. And if you’re wondering whatever happened with my kitchen mat, I’d be happy to post a picture but I haven’t actually made one yet!